Fire extinguishers are designed to allow building occupants to fight incipient-stage fires in order to prevent the fire from spreading, or to escape to safety. Suppression systems and sprinklers, however, are often activated when the fire has already begun its growth stage. By then, it’s most likely too late to prevent costly damage. How do you know which is the right size fire extinguisher for your business? Here is a simple guide to the considerations to keep in mind. Class A and B extinguishers are rated for the size of fire they can put out. For Class A fires, this rating is expressed as a number from 1-40. For Class B fires, it is expressed as a number from 1-640. The higher the numbers, the larger the fire that can be extinguished. 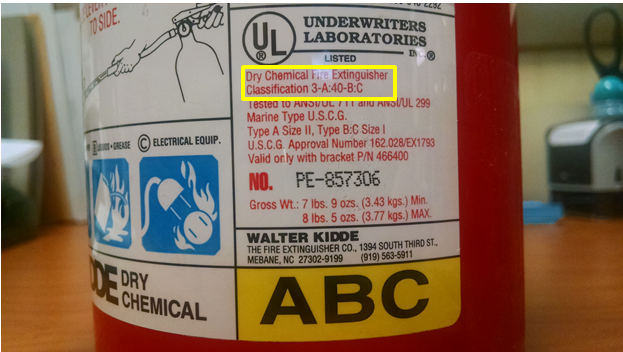 Higher numbers will generally be found on larger extinguishers. Each type of business faces different hazards and fire risks. When choosing a fire extinguisher size, keep in mind your business environment and your fire hazards. For instance, the size and type of fire that is likely to occur in an office building is much different than one that could occur at a manufacturer of hazardous materials. Do you have an average-sized room with limited combustible materials, or a large warehouse or commercial space where the fuel load is larger and a fire has more room to spread? Room size and fuel load can mean the difference between a 5-lb extinguisher and a 30-lb extinguisher. Having a large, high-capacity fire extinguisher will be of no use unless employees are physically capable of lifting and using it. If your extinguisher is too heavy or bulky, depending on the capabilities of the average employee, you could be creating a dangerous situation. As a general rule, most able-bodied people will probably have no trouble using a 5-lb extinguisher. However, once you get heavier than that, it may start to become more difficult for some. The good news is that you don’t have to figure this out on your own! Many businesses struggle with important fire extinguisher questions: How many do we need? Where do we place them? How far apart do they need to be? Let FireProTec complete a fire risk assessment and receive a comprehensive summary of the fire protection needs of your business environment. 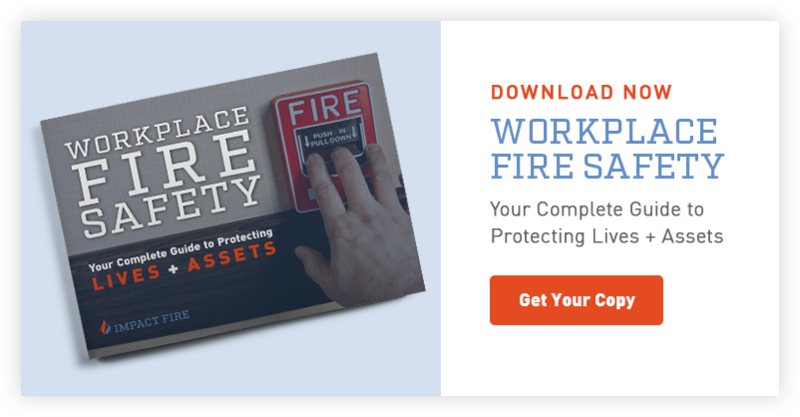 Get started with a free fire risk assessment here.